We aim to conduct all of our operations with respect for the environment. We are seeking to lower our impact by reducing waste whilst using raw materials, water and energy efficiently. We aim to continuously improve our performance in these areas whilst allowing our organisation to grow. We aim to build long term relationships with our customers and suppliers in order to improve the sustainability of our business and to develop business partnerships with organisations that share the high standards that we set ourselves. We provide appropriate safety, security, health and environmental information for all those that work with us, handle and use our products. Over a period of three years (2006-2009) we have managed to reduce our waste by nearly 50%. This achievement has occurred through making significant changes to our operating procedures and educating our staff in the benefits of waste reduction. It is a company aim to continuously reduce the amount of waste sent to landfill and encourage the use of material reclamation where possible. We as an organisation have also implemented some very beneficial recycling schemes that ensure any material that can possibly be recycled is recycled. We have put schemes in place with our major suppliers to ensure that products supplied to us are supplied in packaging that can be returned and recycled for future supply. We are currently working hard to ensure that suppliers are considering the environmental impact of the materials they supply. Suppliers are encouraged to supply materials from sustainable sources where possible, and this features heavily in the selection of new materials for our product range. 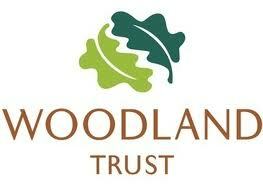 Luminescence is supporting the Woodland Trust, the UK’s leading woodland conservation charity, by dedicating 132 trees at Wheatley Wood, Rayleigh, Essex. To this end the Organization has implemented an environmental management system to continuously improve its environmental performance. The necessary personnel and financial resources will be allocated to assist the Organization in meeting its environmental objectives and targets that will be reviewed as appropriate. In addition the Organization will continue to raise the levels of environmental awareness throughout its workforce and to promote this awareness to its customers and suppliers. The Organization is committed to operating its Environmental Management System in a manner that attains and sustains compliance to the international Environmental Management Standard ISO 14001.